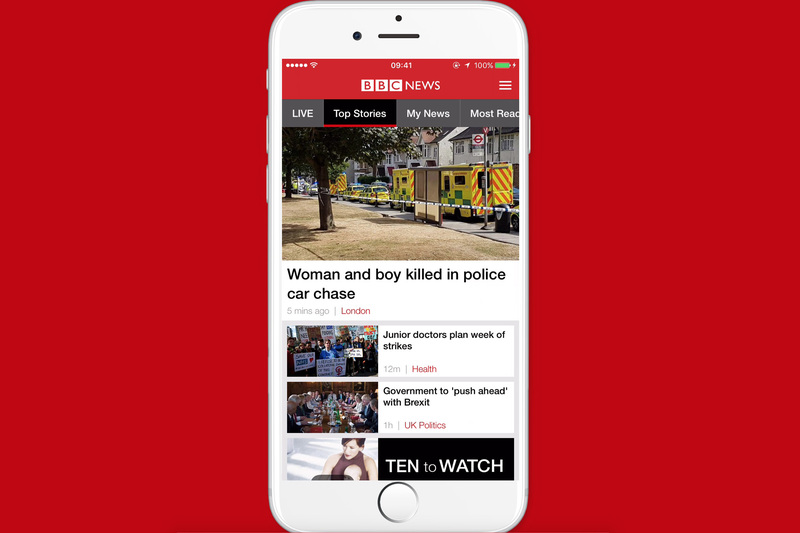 As short-form, on-demand video continues to boom online, BBC News is revamping its mobile app with 'Ten to Watch', a new video initiative that will feature ten vertical videos, designed to summarise the broadcaster's top stories. "We have been thinking about how we adapt our video storytelling in the smartphone age, and move beyond the era where online video was essentially broadcast material, to that which is built natively for mobile," James Montgomery, director of digital development, BBC News and Current Affairs, explained at the Westminster Media Forum on 13 September. "With Ten to Watch, audiences will be given a quick and engaging playlist of our story highlights, that will be updated throughout the day." Users will simply swipe left to move on to the next story, or up to read text and links accompanying the video. The update comes as part of Project Newstream, an initiative focused on mobile news, introducing new formats, storytelling approaches and output schedules. Mobile now accounts for the majority of online traffic at BBC News, with an average of 60 per cent of the audience consuming news on their phones on a regular day, which can soar to over 80 per cent during big news events such as the EU referendum or Paris terror attacks. With 34 million people a week getting their news from the BBC on their mobile, the publisher hopes this initiative will be a success. "We need to remain relevant to younger audiences for whom the smartphone is their primary, or possibly only source of news," he said. Montgomery noted that the UK News app consumption peaks at 6am and 10pm, which will be taken into account when planning updates for the vertical video stories published as part of 'Ten to Watch'. "We wanted to make the app more of a tactile and engaging experience where you can browse with your thumb and navigate content in a different way, and vertical video will be a step forward to this." The updated BBC News app is being rolled out progressively at the moment, having been released to a limited number of Android users already and hitting iOS devices in the next few weeks.